The Casio WK-500 is the latest addition to Casio ‘WK’ range of workstation and family. The Casio WK-500 Workstation features 76 standard size touch-sensitive piano styles keys and incorporates Casio’s acclaimed AHL Sound Source technology, allowing users to select up to 670 high quality tones, 200 rhythms, 152 built-in tunes and 5 songs. This portable workstation weight approximately 17.2 lbs. The WK-500 also features 48 note polyphony and new improved Step Up Lesson system. A large LCD screen graphically shows users fingerings, keyboard keys to press and notes. This helpful assistance allows users to practice and play at their own pace while enjoying the lessons and feel a sense of achievement at the same moment. A USB MIDI enable users to connect the WK-500 to a computer or use as a centre piece for MIDI production, and the SD memory card slot allows users to store their creative work. The workstation is connectable to MP3 or audio instruments and with 10 seconds of sampling. The Casio WK-500 piano styles keys gives a more natural feel. This affordable, flexible and user friendly workstation keyboard is suitable for music beginners and advanced players. Whether you are playing at home or in a large concert, this powerful portable workstation keyboard will breeze through even complex parts. The Yamaha S08 is an affordable and portable weighted action Synthesizer. The S08 features 88-key Balanced Hammer Effect (BH) keyboard. The lightweight Yamaha S08 Professional Synthesizer keyboard is specially designed for both weighted action and quick response. Weighing merely 20 kg, the S08 is the “go-to” keyboard instrument for the gigging musicians. The self-contained music synthesizer has tons of voices for you to choose from, over 700 Voices including combination of the flagship S80 synthesizer waveforms. The S08 features maximum 64 notes polyphony and up to 16 multi instrument parts can be played back simultaneously. Yamaha integrates own 24-bit digital effects processing chip into S08 making it a synthesizer with a complete range of high quality Effects. Music is an intrinsic part of people life. The Yamaha S08 Synthesizer is committed to making music. The S08 can connect directly and compatible to any USB-equipped Windows® or Macintosh® computer. This feature, together with pitch and modulation wheels, makes it an ideal MIDI controller for computer-based music production. The Korg M3 Music Workstation is Korg revolutionary third generation music workstation and family. The Korg M3 Music Workstation major enhancements and free upgrade makes M3 well ahead of the Workstation class. The NEW Korg M3 XPanded Music Workstation/Sampler features 668 Mbytes of PCM, delivering a huge number of sound variations; 412 Mbytes of free sample expansion. Powerful enhancements to the sequencer and interface, in addition to the exclusive KARMA® technology makes Korg M3 XPanded Music Workstation the go-to keyboard instrument for music production. The Korg M3 XPanded Music Workstation /Sampler features 61-key, 73-key and 88-key models. The M3 expanded sequencer mode includes piano roll screen and touch-drag function for edit, delete, create or control events. Also included in the sequencer mode is the full MIDI system , allowing users to record, view, control and edit M3 synthesis, mixing structures and effects. The Korg M3 updated features include 700 effect presets voiced, additional 149 drum patterns and enhanced TouchView user interface. The incredible sound of M3 derives from M3 XPanded’s EDS (Enhanced Definition Synthesis) technology and Korg create program that use this new data to it’s maximum. There are tons of tones shaping control available but only Korg M3 XPanded Music Workstation /Sampler can bring the tones alive, add light and motion to your sounds, and it has all the features you require to inspire, record and revolutionize your music. Bulky and expensive vintage organs are the things of the past. Today, Nord C1 Combo Organ comes in an affordable 3 in 1 vintage organ package. A dual-manual clone-wheel with 3 types of vintage organ sounds. The Nord C1 weight just 33 pounds and I believe it is the most portable digital organ around, at least at the moment. Unbelievable but it is the truth. The Nord C1 features 2 x 61 Medium Weighted Waterfall Keys. The Nord C1 digital drawbars is enhanced with LED segments which enable you to check your setting and set up sounds from scratch in the shortest possible time. The C1 features many analog style effects to boost organ performance. It also includes a 5 algorithm reverb and a 3-band EQ effects, a delay with tap-tempo and tube style overdrive, and if you put all of them together the NORD C1 will definitely blow you away ! While you are playing the C1, it is not only the magnificent tone wheel sound it produced but also the fun to play due to the proper response and feel of playing the original instrument. Kurzweil musical instruments have always been known for their robust and superb sound quality. Built on the acclaimed V.A.S.T. (Variable Architecture Synthesis Technology) technology, the Kurzweil K2600 Synthesizer has been professionals’ choice worldwide including the United States Government. The K2600 is both a full-fledged workstation and midi controller and fully compatible with Kurzweil’s K2 models. It can be easily upgraded and interfacing the K2600 with other equipment is a breeze The K2600 features 76-note semi-weighted Portable Keyboard. The K2600 workstation enable musicians to complete a project from conception to final matters without leaving the K2600 environment. The K2600’s Triple Mode offers 126 sound shaping algorithms and in-series processing of VAST layers. Kurzweil also conducted a researched on majority musicians expectations and demands from around the world. The K2600 is built to accommodate new features that musicians around the world have asked for. The exclusive KDFX and KB-3 organ mode are available on all K2600; allowing digital effects processing to any signal and allows musicians to blend harmonics in real-time to create and control unique new timbres. The 4Mb flash ROM makes setting-up and upgrading system twice as fast. This full-fledged MIDI controller has a wealth of assignable control sources. There are nineteen physical controllers; (8) sliders, (1) pitch wheel, (1) mod wheel, (2) buttons, (4) foot switch pedal inputs, (2) continuous control pedal inputs, (2) ribbon controllers and (1) breath-controller input and they are all assignable. The 600mm ribbon controller is fully programmable. An expressive pressure strip, centered above the keyboard, can be programmed in three zones or one long zone to provide a “touch and hold” facility. A short pressure strip and two buttons near the pitch and mod wheels add dramatically to the instruments’ expressiveness. The front panel also incorporates eight independently assignable sliders, requirement for MIDI sliders, and sequencer buttons. The K2600 provides additional controller inputs and interfacing; 4 foot switch pedal inputs, 2 continuous control pedal inputs and 1 breadth-controller. The breadth-controller input is compatible to Yamaha breadth-controllers. The K2600 features a wide selection of programs for musicians to choose from and locating program(s) is fast and easy. The K2600 is compatible to third-party sound libraries like disk or CD-ROM and also compatible to other manufactures’ sample libraries. In another word, Kurzweil owners can have access to the largest sound library in the world. The K2600 flexibility, easy and unlimited access to upgrade operating system allows your synthesizer to keep up with the latest technology. 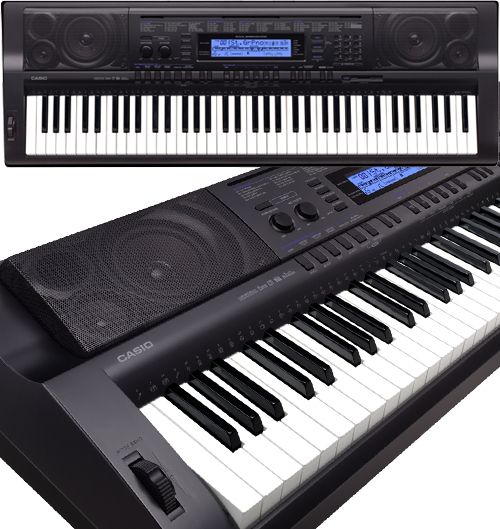 In addition, the multitude of flexibility makes the Kurzweil K2600 an ideal MIDI controller for MIDI production.